The U.S. Department of The U.S. State Department recently forecast much longer wait times for EB-5 visas than it had previously, sending shockwaves through the international investment community. But the State Department’s projections mask some causes for optimism. In late October, Charles Oppenheimer, the head of the U.S. government’s visa control and Reporting Division, announced new wait time estimates for EB-5 visas for several countries, including Vietnam. The State Department estimates are of the number of years between the date an I-526 petition is filed and when an EB-5 visa is likely to become available. Assuming petitions were filed on October 30, 2018, the wait time for China, the leader in EB-5 applications, is now projected at 14.7 years. For the next four leading countries in terms of EB-5 applications, the wait is not as long. For Vietnam it is 7.2 years; for India, 5.7 years; for Taiwan, 1.7 years; and for Brazil, 1.5 years. Those are stark numbers. But it’s important to note that Oppenheimer said those wait times are “the worst case” visa wait scenario for an I-526 application filed on October 30, 2018. (For those who filed before October 30 of this year, the wait times are believed to be shorter.) His projections don’t take into account a handful of variables that could reduce wait times, and they are based on the assumption that all petitions will be approved. 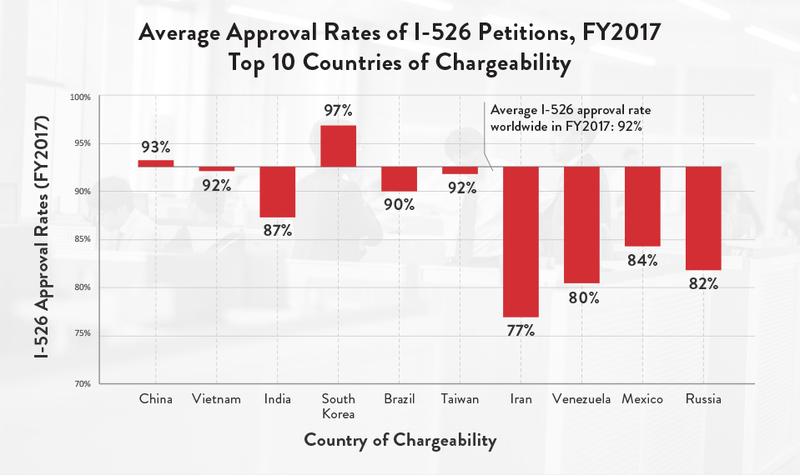 Considering that annual denial rates of I-526 are 7-23 percent per year for the top ten countries of chargeability, wait time backlogs are actually likely to be much shorter than Oppenheimer’s forecast. Data Note: Margin of error: +/- 0.5%. According to the State Department, Vietnamese applicants, for instance, will likely face a wait time of 6.6 years because of the denial rates instead of the 7.2 that Oppenheimer projected assuming all petitions would be approved. Other countries will also likely see shorter wait times based on denial rates. The U.S. government offers about 10,000 EB-5 visas to investors and their dependents every year and long wait times, also referred to as “retrogression,” are not new for EB-5 visa applicants. Nor are they new for those applying for other similar visas. H-1B visas, for instance, typically have extended waiting periods, and all have some elements of visa wait times, Chinese applicants have faced a long wait times for EB-5 visas ever since 2015. 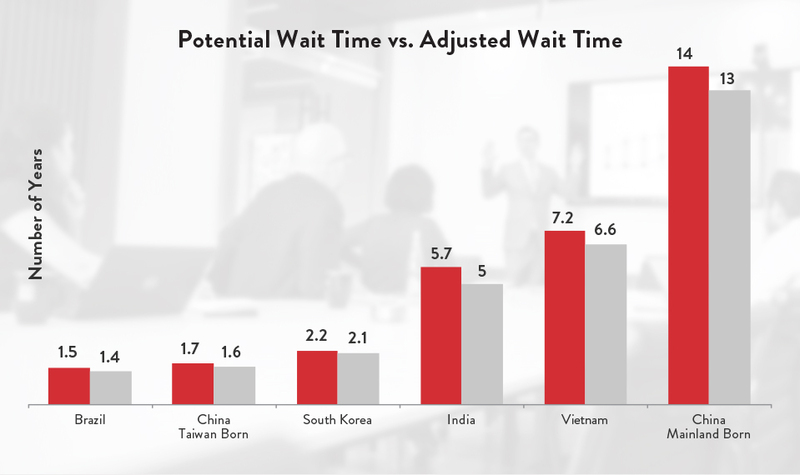 With the wait times increasing for EB-5 visas – particularly in Vietnam, which ranks second behind China in visa backlog – it’s important to look at what the wait time means for the program’s future. In the 2018 fiscal year, 693 EB-5 visa applications were received from Vietnam, nearly 50 percent more than were received in the prior fiscal year. The nation also, for the first time, hit its annual per-country cap of EB-5 visa applications. Lemon says there are three things to focus on, as wait times increase, for those considering making new EB-5 visa petitions. That includes some Chinese investors who have recently abandoned plans to apply for EB-5 visas. Chinese EB-5 applications are down 4 percent from their peak in 2016, and in the past fiscal year, Chinese investors were granted fewer EB-5 visas than investors from other countries. That’s the first time that’s ever happened. As some Chinese investors have dropped out, fewer overall EB-5 applications have been received by the U.S. government. That could work to the advantage of those from other countries if they act now. Lemon also recommends potential applicants study the Visa Bulletin issued by the U.S. government and consider making applications while in the United States, because applications made that way can come with different wait times. With wait times increasing, some families considering EB-5 applications are thinking about the EB-5 program in the same way they think about college planning – making a decision early to plan for a child’s future. The EB-5 program also has an investment component that could be attractive for just that sort of long-term financial planning. The EB-5 program has been in existence since 1992, but it is not a permanent feature of U.S. law. It must be reauthorized on a regular basis. The most recent reauthorization extends the program until December 7, 2018. EB-5 is poised to be extended well beyond that date in the current, so-called “lame duck” session of Congress. The new Congress, with Democrats in control of the U.S. House of Representatives and Republicans leading the U.S. Senate, will be seated early next year and will contain many lawmakers who are friendly to EB-5. That could mean broad reforms to the EB-5 program are already on the legislative horizon. 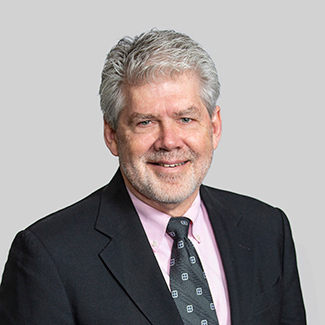 Donald Lemon is an experienced international business advisor in the Southeast Asian market. With the Civitas EB-5 investor relations team he is currently focused on EB-5 investment for Vietnam, and other ASEAN nations. Mr. Lemon opened the Vietnam market for Credit Lyonnais Securities, and was the initial country manager for the Vietnam Fund. Mr. Lemon served on several of the management boards of Fund investments in Vietnam. He has advised a boutique European mergers and acquisitions firm on their international projects. He is a co-founder/major investor in an educational enrichment company now expanding into an international franchising model. Mr. Lemon earned his juris doctorate at John Marshall Law School and received his undergraduate degree from Wheaton College. He started graduate school in international relations with emphasis on international finance at University of Chicago, before shifting to his law studies. Mr. Lemon grew up in Vietnam, Thailand, and Malaysia from 4 years old until he turned 18 to return to the U.S. for university studies. He speaks and reads Vietnamese fluently, and was previously conversational in Mandarin and Thai. CIVITAS CAPITAL GROUP is a different kind of alternative asset management firm, one devoted to creating opportunities that enrich people and communities by utilizing tools like EB-5. During the 2008 financial crisis, Civitas was founded on the idea that international investment capital could catalyze growth in our hometown of Dallas, Texas. Since then, Civitas has deployed capital into 40+ EB-5 investments in Texas, California, New Jersey, Colorado, and New York. With a growing team from diverse backgrounds — as a firm, we speak 17 languages — Civitas serves global investors with its ever-deepening cultural competency. Nothing in this article is meant to be taken as investment advice or as a recommendation, offer, or solicitation with respect to the purchase or sale of any security or financial product. The commentary contained herein is for informational purposes only and does not constitute legal advice regarding the EB-5 program, individual immigration status, or the financial consequences of any application or investment. Prior to participating, individuals should consult with their personal immigration attorney, accountant, and/or tax advisors.